When Jessica brings her granny into school for ‘Unusual Day’, Miss Johnson thinks she’s got muddled up with ‘Family Day’. Her granny may be wearing a tracksuit and trainers, but she still looks like a fairly ordinary granny. 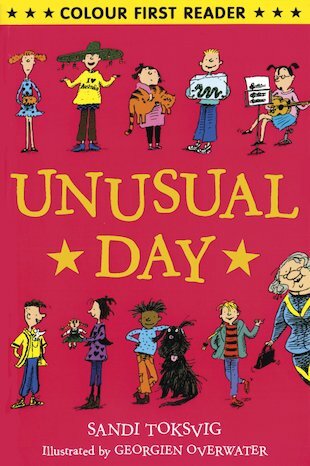 However, when the schoolday is disrupted by a fire next door, everybody discovers just how unusual Jessica’s granny really is… A fast-paced, warm-hearted story for developing readers from acclaimed author and TV personality Sandi Toksvig, now with exciting colour pictures.